Belcher Pharmaceuticals is a specialty niche pharmaceutical company focused on the development and manufacturing of prescription products primarily in specialty-driven markets. Belcher focuses on difficult and challenging to manufacture drugs that may require dedicated environments as well as specialized intellectual property and or equipments. From the early stages of development to commercial manufacturing and packaging, Belcher Pharmaceuticals is your full-service provider. Belcher Pharmaceuticals develops, manufactures and packages generic pharmaceuticals, beta-lactam and cephalosporin antibiotics, and controlled substances. Many customers around the globe rely on Belcher Pharmaceuticals from the early stages of product development to commercial manufacturing and packaging. 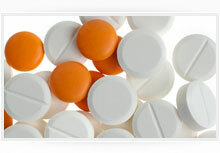 Our customers rank among the world's top pharmaceutical companies, retailers and wholesalers . Belcher Pharmaceuticals conducts commercial manufacturing, packaging and analytical operations in-house at our 65,000-square-foot facilities in Largo, Florida, just outside Tampa, Florida.